Joanna Kulig, Tomasz Kot, Borys Szyc et al. DVD: 84 min., Blu-ray: 88 min. In the ruins of post-war Poland, Wiktor (Tomasz Kot) and Zula (Joanna Kulig) fall deeply, obsessively and destructively in love. As performing musicians forced to play into the Soviet propaganda machine, they dream of escaping to the creative freedom of the West. But one day, as they spot their chance to make a break for Paris, both make a split decision that will mark their lives forever. 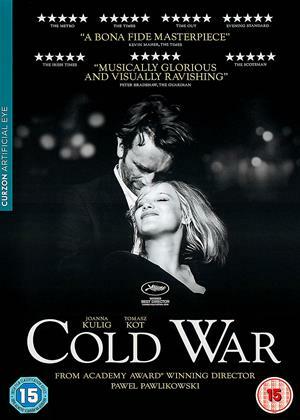 Pawel Pawlikowski follows his Oscar-winning 'Ida' with the stunning 'Cold War', an epic romance set against the backdrop of Europe after World War II. Sumptuously shot in luminous black and white, it spans decades and nations to tell a love story that is as tragic as it is moving, and as transportive as it is honest. 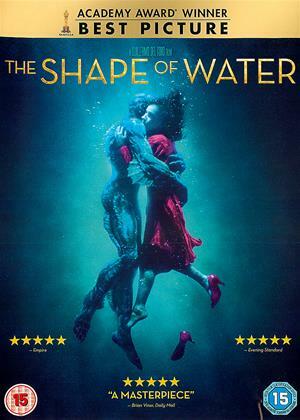 Well like the previous film by this director which won the Oscar, I believe, my reaction to this film is 'MEH'. It's moderately interesting - about the awful time when the Soviets and Communism were in charge of Poland and Eastern Europe, and oppressed and bullied people just as badly as the Nazis. Funded by lottery grants, Film4 and other state funding - it's all watchable though hardly exciting. Basically a thwarted love story - and I hated the ending (no spoilers). Well-filmed and that's why it gets 3 stars. It's a love story with a difference, it is stripped bare of the usual cliches and padding that make up the average film. As such it stands out as unique. This black and white film is very sharp in blu-ray and with good contrast to all the beautifully composed shots. In particular, mention must be made of the soundtrack, filled with a wide range of music (performed, not background incidental stuff) from classical to jazz to obscure folk, in fabulous quality and with great use of the surround channels. The train sound effects are superb. Many of the scenes are silent except for ambience, and it works so well. The story is well told with a good pace and has a great mixture of action, and it is absorbing. 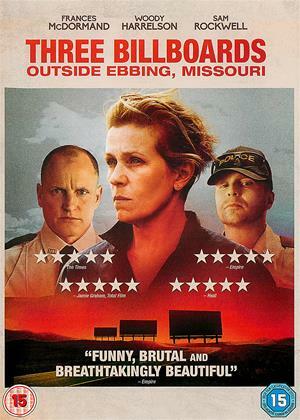 We rented this film after hearing Mark Kermode rate it highly, and we were so delighted to have found it. 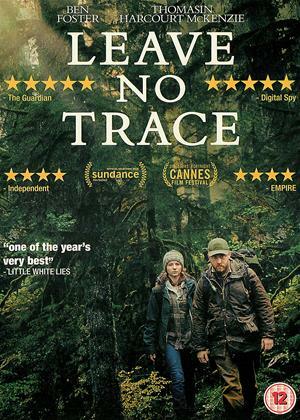 A good, but, not great film, that holds your attention and is worth a watch. Delivers a very authentic period feel, with very capable direction and acting, far from boring. Subtitles are a let down, small font, white characters often against a light background, and not always on long enough to read in full. A strange little movie about a love story which starts after the Second World War and carries on over many years. Akin to historic black and white movies of the last century, this is a bleak presentation without any humour and flits about from one European country to another. The acting by the two leads is faultless as are the authentic scenes of a post war Europe. Although quite gloomy and non uplifting, seamless directing makes this film relatively watchable. What a lovely, throwback of a film! The gorgeous b/w cinematography enhances the sense of watching a classic love story from the 1940s or 1950s. The editing is superb and there is not a moment of wasted screen time in this pared down sweep of passion. Joanna Kulig is a mesmerisingly earthy, sensual presence. A magnificently persuasive and engaging love affair. This black and white movie is well worth the various Oscar nominations it has just received in January 2019. 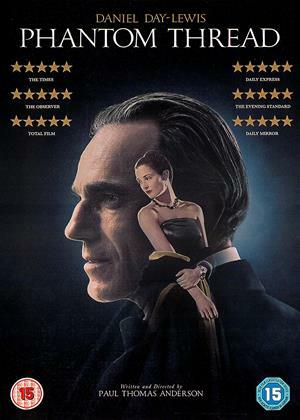 An intense love story set after WW2 with stunning cinematography. Beautifully acted, with classic folk music from Poland. 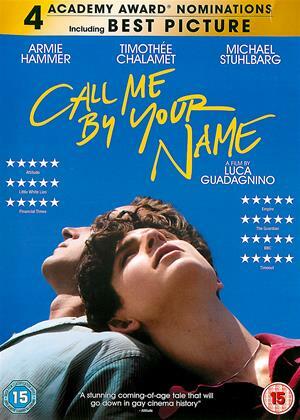 Intense and sad, so fancy gimmicks, just a good screenplay and I loved it. This film is an arch-love story. In the ruins of post-war Poland, Wiktor and Zula fall deeply, obsessively and destructively in love. As performing musicians/ artists forced to work for the Communist propaganda machine (as members of a folk troupe), they dream of escaping to the West. One day, they spot their chance to make a break for freedom in France. On one level, there is something predictable in the way that the love story between the 2 central characters develops. On another, the film is full of surprises and the lead actress is simply amazing and stunning, in terms of her presence and sensuality on screen. Somehow, the use of black & white enhances her charm and beauty, and gives the film more depth and elegance. My problem is with the 2nd half of the film, which I do not find entirely plausible in terms of the storyline. I cannot go into details because it would be a spoiler. But I simply cannot see the 2 characters reacting in this kind of way in real life, also given the broader political and social-economic context at the time (the 1950s). It is still a beautiful and intensely romantic film that I would certainly recommend, which you are unlikely to forget. If you like "Ida", you'll like this, and one of the actors appears in both films. Extraordinary b/w photography, and gives an historically accurate picture of Poland just after the War, and the ideological demands of al the Ostbloc countries at the beginning of the Cold War.